When your husband is a history buff, your homeschooled kids are on their way to following in his footsteps, you have an avid Rush listener in your household (which is actually not me - the current climate of tension gives me a stomachache), and you get a chance to review Rush's series of kid's books - you take it! 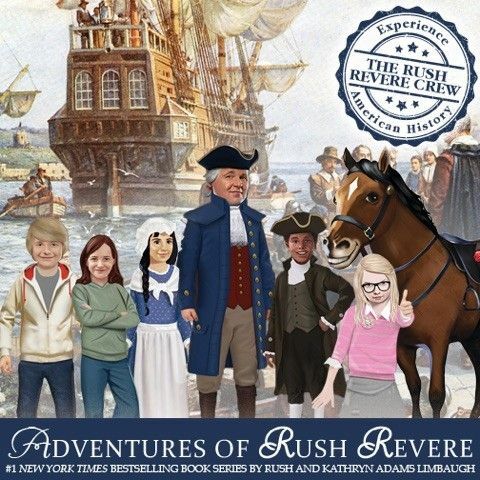 Ideally, I had these books in mind for Adam and the girls to read together, but since he's been traveling, Madison and I have been enjoying the Adventures of Rush Revere Book Series from Adventures of Rush Revere #1 New York Times Bestselling Book Series by Rush and Kathryn Adams Limbaugh. She is excited to fill him in on all that she experienced along with the characters. 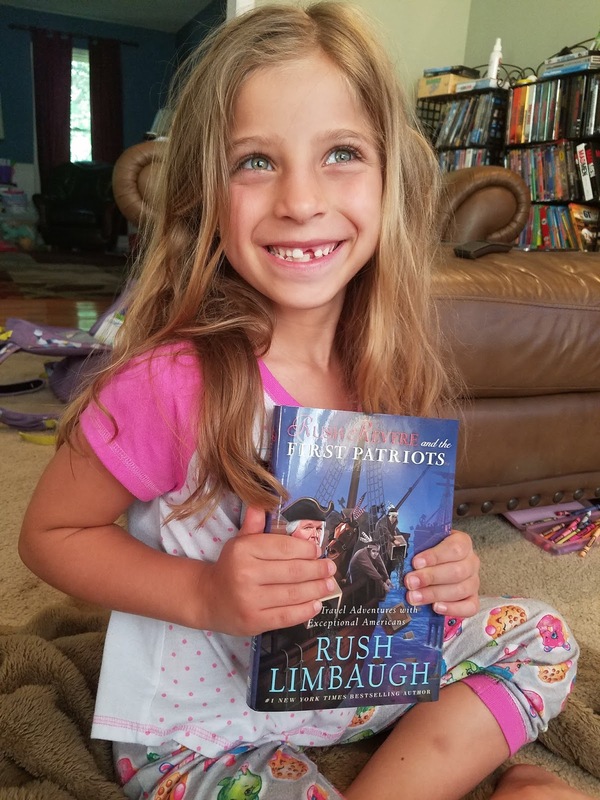 Although I read the books in order myself, I let Madison choose which snapshot in history appealed to her the most, and she wanted to start with Rush Revere and the First Patriots. This book worked as a stand alone read just as well as it did as part of the series. Honestly, because the first book gives you some insight into the recurring characters, it does make sense to start there. However, I don't think we lost anything by going out of order. The premise is that the character of Rush Revere is a substitute history teacher. After a few set-ups he bravely decides to enlighten two students, Tommy and Freedom, into a time travel field trip while on the back of a horse, "rush rush rushing" into the past. This time portal only opens to the words "rush rush rushing into", and Liberty the talking horse starts running towards adventure. Book one, Rush Revere and the Brave Pilgrims, starts with a seasick Rush trying to manage the journey and arrive in one piece. The crew is wholly detached from the actual Pilgrims, and there is no sympathy for those who haven't yet found their sea legs on the rough voyage. Rush Revere, Liberty the horse, and two students meet important figures and learn why this group was willing to risk so much to settle in a new place, and how the foundations they laid were instrumental to the forming of the country later. We read the second book, Rush Revere and the First Patriots, together, and finding Ben Franklin and Patrick Henry was like meeting old friends for Madison. She drew comparisons between what she already knew from the history we've done and the historical programming we've watched, and what we were reading here. This book, like the time period, is full of tension. You feel it as you read and you experience what went into the decisions to make a drastic change. I liked that the students that Rush and Liberty brought with them were different - including one who wasn't invited! Book three takes us into war. Rush Revere and the American Revolution allows us to meet George Washington and John Hancock. This book does a great job of explaining why our soldiers do what they do, even when it's hard on them. Book four, Rush Revere and the Star Spangled Banner is about so much more than the song. This book takes students through the Articles of Confederation and the writing and ratifying of the Constitution. Because Madison's namesake, James Madison, features prominently, she has requested this be our next book to read together, although I will probably take us through the rest of the series in order. This book includes Maddie, a homeschooler! I was so happy to see her featured - my Madison has complained that there are no homeschoolers in the books she reads about kids her age. 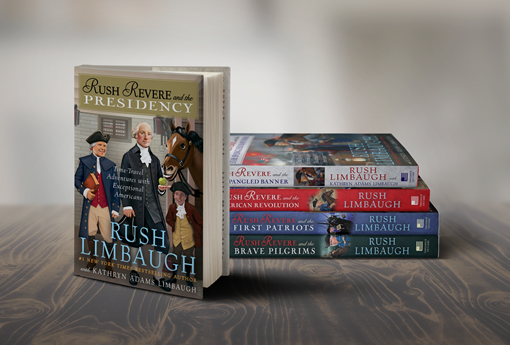 Book five, Rush Revere and the Presidency, is a very timely read. Cam, a student who joins in on many of these time traveling adventures, has decided to run for class president. This book would have been an excellent read aloud last fall, when Madison, only in first grade, was trying to understand all the intricacies of electing a president. In this book the prominent figures are the first three presidents AND their first ladies, but it also lays out the timelines, requirements, calculations, and the WHY of how this republic elects their leaders. I can't wait to read this one with my kids. These books are definitely above the level of my independent reader - I'd say fourth grade or above could comfortably read them. We chose to do them as a read aloud, and because we stopped to chat periodically, it took us about two weeks to get through the first in the series. 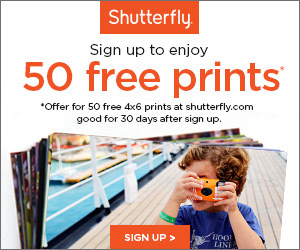 Each book is about 200 pages. Madison loves any sort of history that invites her to travel back in time and experience that history, so these books were right up her alley. Although I read only one with her, we looked through all of them, and she made connections of things that she's read and watched. I know she'll be into them all when we keep reading. 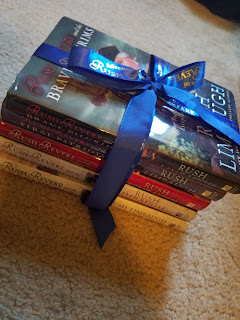 If the books inspire you to dig deeper, there is The Adventures of Rush Revere Website. 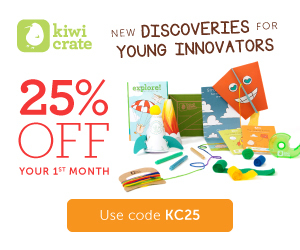 You’ll find an abundance of lesson plans, games, quizzes, and more to add to your study. 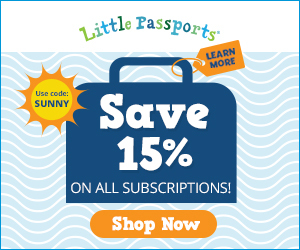 These books are a wonderful addition to the library of any child fascinated by history. I was so happy to get opinions from all sorts of readers - students and teachers!